1/24/2011 – Two days ago the French Chess Federation announced the investigation of three French players on suspicion of "organized cheating" at the Chess Olympiad in Khanty-Mansyik. 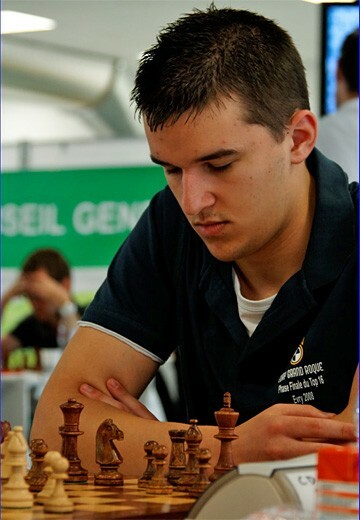 Now one of the three, 19-year-old French GM Sebastien Feller, has replied emphatically, implying that the entire action was a result of his support of the current FIDE president (the FFE supported his rival Karpov). Open letter. I completely deny the cheating accusations by the French Chess Federation. This disciplinary procedure is in fact related to my support, during the Olympiads, of the current FIDE president as opposed to the current administration of the French Chess Federation. The FIDE president is furthermore defamed in the blog of Jean-Claude Moingt (NdT: president of the FFE) who claims that he benefited from dummy proxies. Furthermore, I mentioned in private conversations, which were repeated, of accounting irregularities by the French Federation (specifics will be provided at a later date) which angered the president. I have requested my lawyer, Mr. Charles Morel, to initiate legal action for damages against the French Federation for having unjustifiably cited my name in a statement, republished by all the French and foreign sites, as well as the international press..